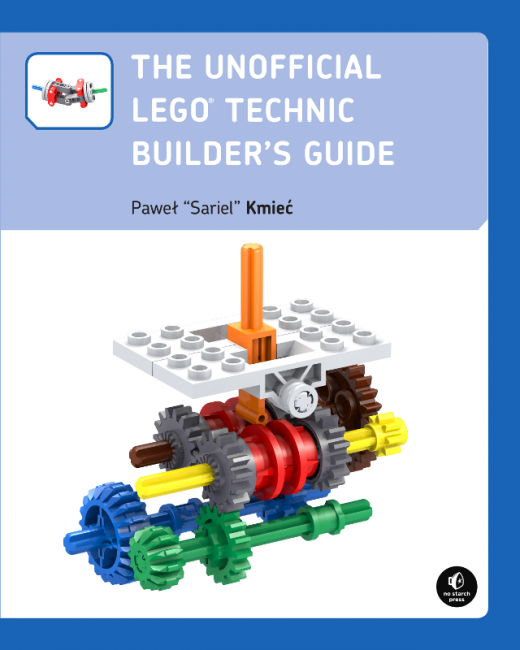 By now I doubt anyone reading this forum hasn’t already heard of “The Unofficial LEGO Technic Builder’s Guide”, a book written by Sariel, a LEGO Technic builder who has been featured many times on TBs , and published by No Starch Press, who have an impressive catalogue of LEGO related books. Impressive as that catalogue may be, this is only the second ever LEGO Technic book to be published (the first being Yoshihito Isogawa’s Tora no Maki, which was published in three volumes as the “LEGO technic Idea Book” series). You might say there was a gap in the market, and The Unofficial LEGO Technic Builder’s Guide is here to cater for it. Before I go into the book in more depth, a short word about what it is not. The Unofficial LEGO Technic Builder’s Guide is not an instruction manual to (re)build Sariel’s great MOCs, nor is it a repository of ingenious uses of different combinations of Technic elements. For the first the best you can do is take a long hard look at the images and videos available on Sariel’s website. Alternatively there are other great builders who offer building instructions, either for free or for a small fee. 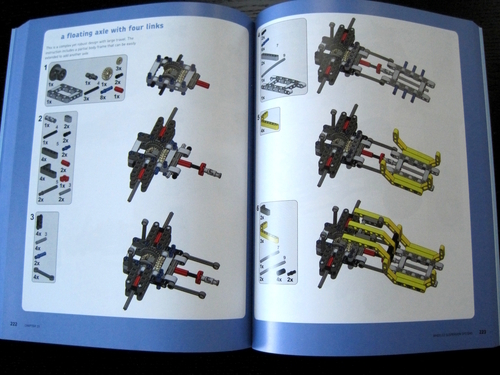 For the second, there is Tora no Maki, a treasure trove of ideas I have enjoyed very much, and the printed version, the LEGO Technic Ideas Books, are an asset to any Technic builder’s library. So what makes this book different? Well, for starters, even in the areas that might at first glance look vaguely similar – a description of LEGO elements and some simple techniques of combining them – the difference is huge. Isogawa’s approach is visual, showing you the pieces and how they combine. Sariel goes a crucial step further. He explains what happens when you combine elements; what is needed to create rigid structures, how to reinforce them, how to overcome the even vs. odd collision that invariably comes from using studded elements in conjunction with studless pieces, or what is the maximum angle at which a universal joint can work at its full potential. And this is just in the first few chapters (Part I) that cover the “Basics”. After that first section the book really takes off. Part II, "Mechanics", takes a closer look at gears, chains, pulleys and levers to transmit force. Many of the mechanism that are presented are too complex to easily rebuild from a single image and so a number of short building instructions are included, allowing you to build along with the book and see first hand how these mechanisms work. Also included in this section is an overview of the Pneumatics system (including building instructions for a simple pneumatic engine, auto-valve and compressor) and a very practical look at why things fall apart and how to effectively reinforce them, starting with simple bracing techniques and moving forward to load bearing structures and trusses. 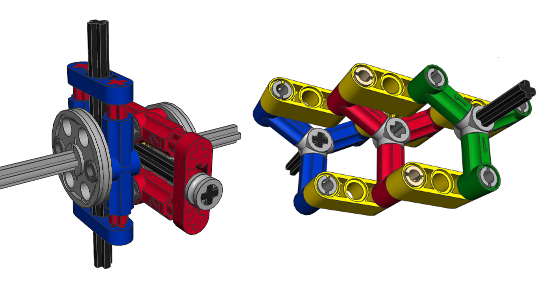 Part III bears the title “Motors” and provides a simplified review of LEGO motors and their strengths and weaknesses, followed by a overview of the Power Functions elements, including the Linear Actuators. Again some building instructions are included for modifying the two PF remotes currently available. Whereas in the first 3 parts you get to build a number of small mechanisms, in Part IV we move on to “Advanced mechanics”. In the following chapters, much of what has been explained previously is put to use in the larger assemblies required to build Technic vehicles. The first chapter, for instance, deals with steering. After covering the basics, it explains what Ackerman steering is and how to build it for vehicles with more than two axles or with several steering axles. The chapters dealing with suspensions (for wheeled and tracked vehicles) not only explain the different suspension systems, but include detailed building instructions for different kinds of suspensions. The same can be said about the chapter dealing with transmissions that includes building instructions for a number of different gear boxes. The final part of the book (Part V, entitled “Models”), includes the excellent tutorial on scaling and provides an open invitation to put all the knowledge acquired through reading the preceding chapters to use in building your own MOC. This book most certainly isn’t a “guide to rebuilding Sariel’s fabulous MOCs”. If what you are looking for is building instructions, this is not the right place. 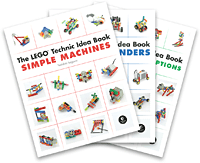 This book however provides you with all the necessary tools to start building your very own Technic MOCs, including a large number of very helpful instructions for the individual mechanisms that you may want to include in them. Technic is about learning to solve your own (mechanical) problems, and The Unofficial LEGO Technic Builder’s Guide provides you with a sound basis, as well as a useful reference for getting to know your elements, learning how to combine them in sturdy, useful mechanisms and combine them into your very own Technic creations. My copy arrived a week ago - a full month before the advertised delivery time! I have not yet read through it (saving up for some airport-time that I'll have to sit through in the next fortnight), but I've read Part I and I'm very impressed. I've been building exclusively Technic for the last 15 years, and I've already learned something new - I'd never have thought to use the toothed half-bush as a bevel gear!